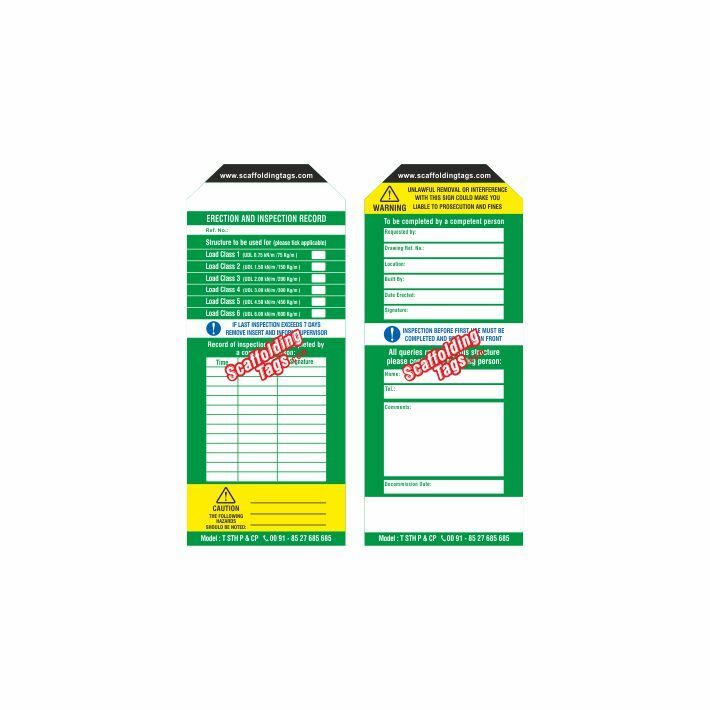 Scaffolding tags inspection system is prevalent worldwide and used in helping to identify working at height hazards and efficiently managing inspection procedures. 20 Tags, 10 Holder, 2 Pen & 10 Cable Tie. 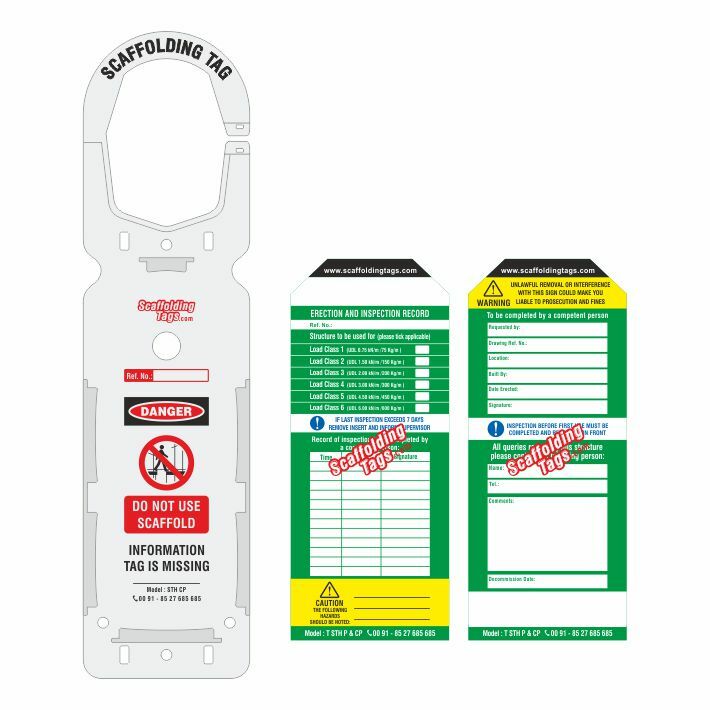 Printing of all Tag Holders and Tags can be customized as per customer’s requirement of Text, Graphic, language, Logo, Dept. Name, etc. 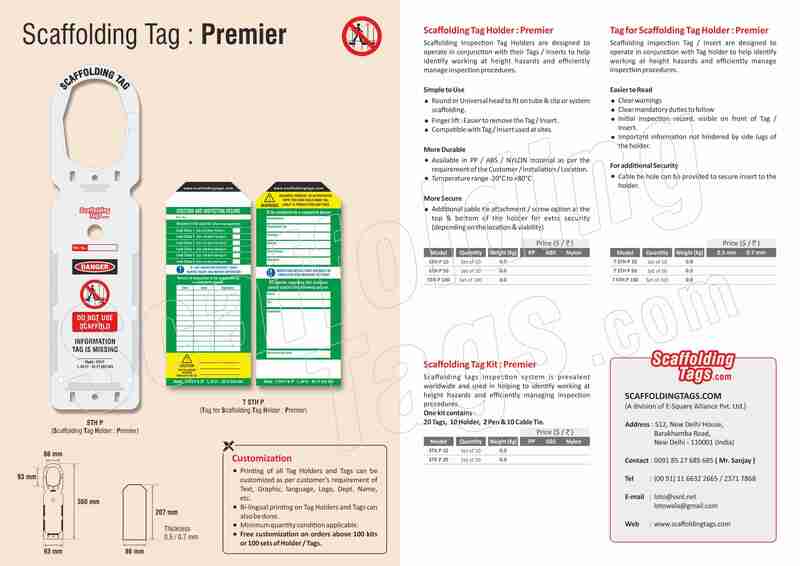 Bi-lingual printing on Tag Holders and Tags can also be done. 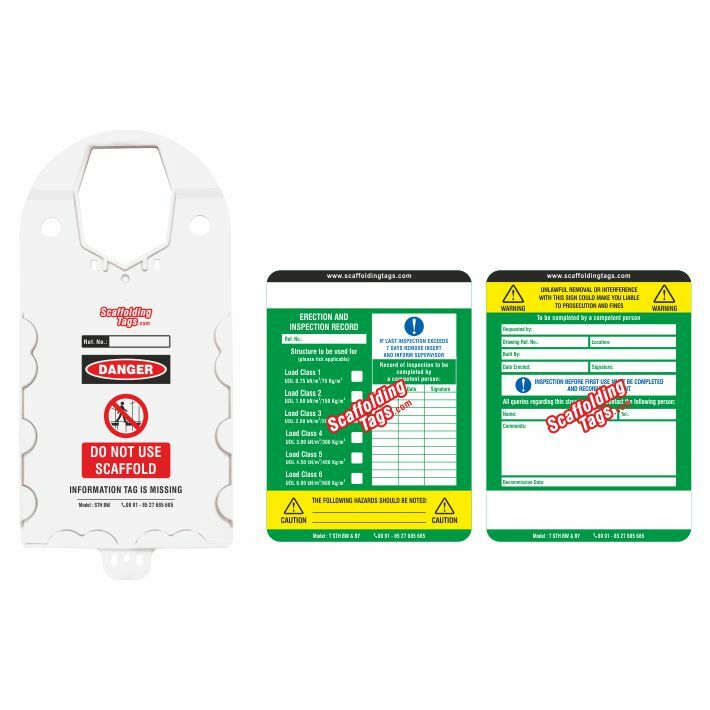 Free customization on orders above 100 kits or 100 sets of Holder / Tags. 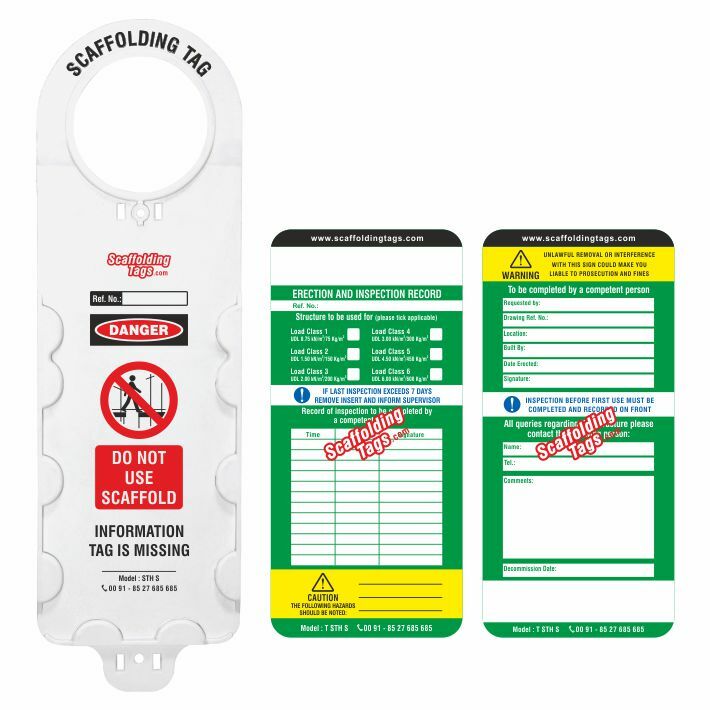 Scaffolding Inspection Tag Holders are designed to operate in conjunction with their Tags / Inserts to help identify working at height hazards and efficiently manage inspection procedures. Round or Universal head to fit on tube & clip or system scaffolding. Finger lift : Easier to remove the Tag / Insert. 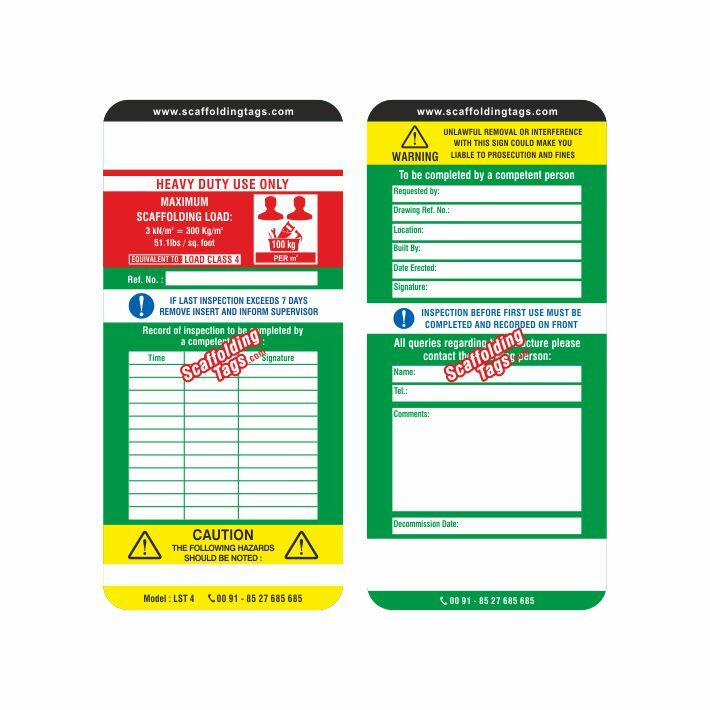 Compatible with Tag / Insert used at sites. Available in PP / ABS / NYLON material as per the requirement of the Customer / Installation / Location. 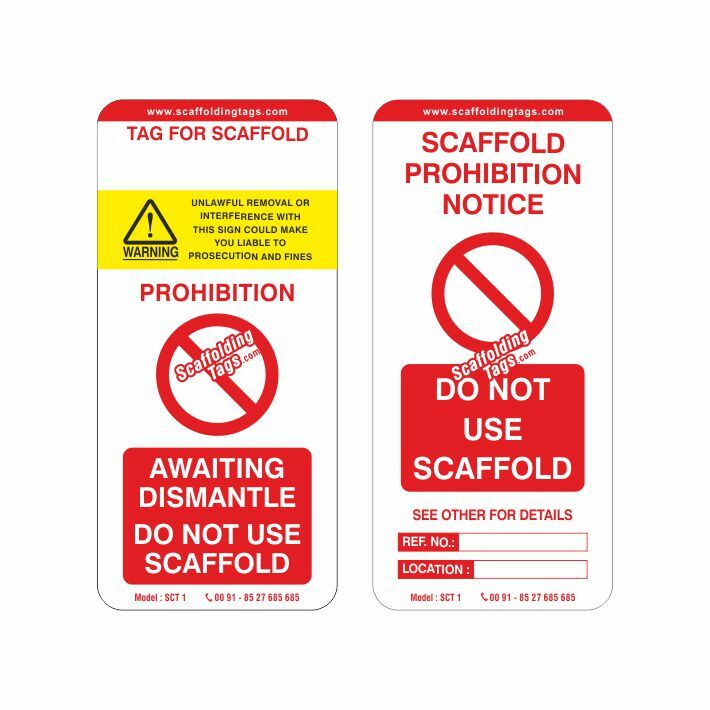 Scaffolding inspection Tag / Insert are designed to operate in conjunction with Tag holder to help identify working at height hazards and efficiently manage inspection procedures. Initial inspection record, visible on front of Tag / Insert. Important information not hindered by side lugs of the holder. Cable tie hole can be provided to secure insert to the holder.